Spiralise your cucumber and put it in the cocktail shaker. 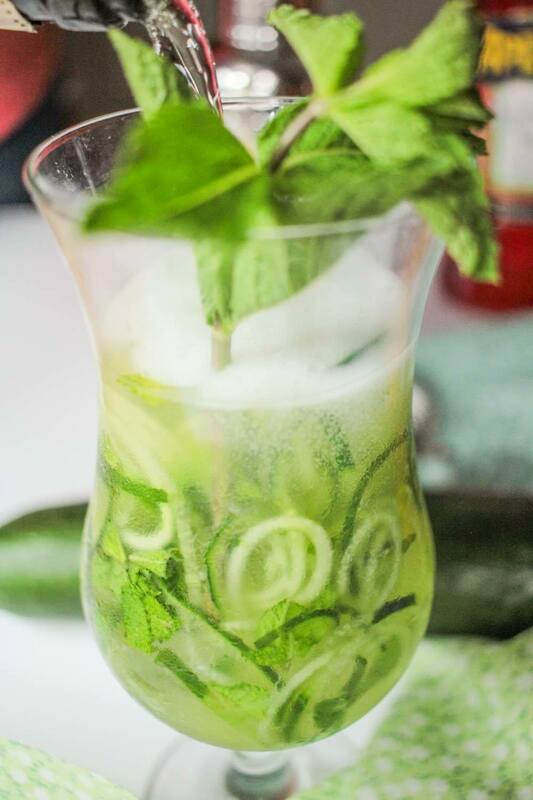 Chop your mint and add with the cucumber. Squeeze all of the lime into the cocktail shaker along with the honey. Give the all the ingredients a good shake. Add some ice to your glass and pour the mixture over. Top up your glass with prosecco. You will get some fizz! Serve with a sprig of mint for decoration.